Heathcoat Fabrics provides performance textiles proven in the most demanding of military environments. The company manufactures military textiles, which are known for their reliability and durability. These fabrics can be used in global Future Soldier Systems and our existing fabrics have been proven in various fields of operations across the globe. We manufacture military textiles based on the latest technology ensuring to be at the forefront of textile development. We will provide the textiles based on weights, widths, and physical properties. We use fibre types including Cordura®, Kevlar®, NOMEX®, PBI®, and Spectra®. Praetor-FR™ is the first durable DPM manufactured using 100% aramid fibres. It offers the greatest possible heat and flame protection. We design fabrics to be robust, lightweight, and comfortable. They can be used as high- tensile mesh for tactical vests to Spacetec® fabric for compression comfort and breathability on rucksacks and load carrying ammunition belts, as well as narrow camo printed webbings. We develop and manufacture3D Spacetec® fabrics that offer enhanced comfort and heat-stress reduction. They are included with sweat management and anti-odour properties. We manufacture mesh linings and Spacetec® fabric for both body armour and helmets. They are suitable for overt and covert body armour systems. 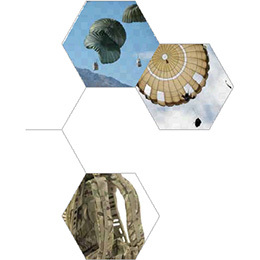 Heathcoat has designed a range of weld-able ballistic envelope textiles. Military specification outer shell fabrics are also available with a range of finishes. Recent developments include stab and slash protection fabrics based on silicon carbide technology and Para- aramid ballistic fabrics. Our on-site specialist team is developing material for use in Chemical, Biological, Radiological and Nuclear (CBRN) protective suits. Our company has the capability to offer a wide range of woven, non-woven and knitted fabric impregnated with activated carbon formulations. 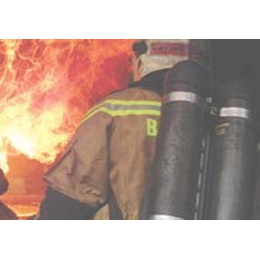 Our textiles are used in coverall fabrics, including flame retardant for helicopter, fighter and tank crews, and jet pilot suits, using fibres such as Kevlar®, NOMEX®, and PBI® for heat resistance. Our fabrics can be found in seating, suspension systems, tank interiors and helicopters. We also supply fabrics for specialist FR tent liners, and Special Forces hammock and shelter sheet materials.